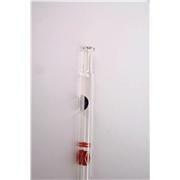 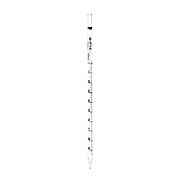 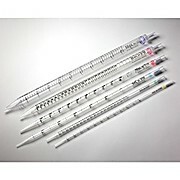 Calibrated "to deliver" N-51A borosilicate glass Not sterilized or cotton-plugged Size 10 mL has constriction near top, forming chamber in which protective cotton plug can be inserted 7536U86 contain five shelf packs of 100 each. 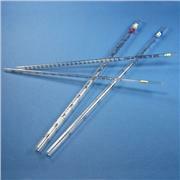 …confined areas Calibrated to deliver with blow-out Reverse and negative calibrations Sterile Plugged Disposable serological pipets are packaged in color-coded, paper/plastic wrap for speed and accuracy in selecting the correct size pipet. 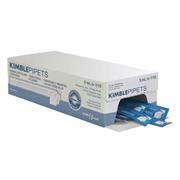 Pipets are individually wrapped. 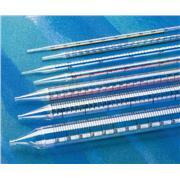 …Certificate" includes the Part Number, Lot Number, Sterility Assurance Level and Dosage, Endotoxin/Pyrogen Free Assurance, Non-Cytotoxicity Assurance and RNase/DNase Free Assurance. 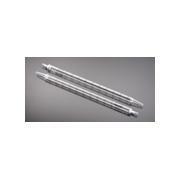 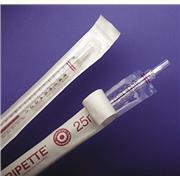 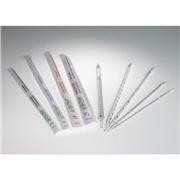 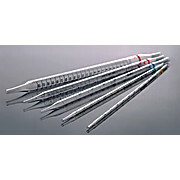 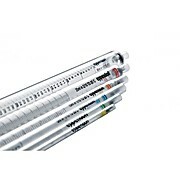 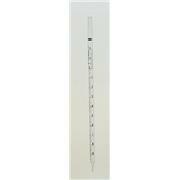 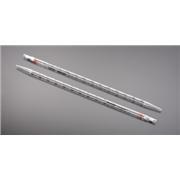 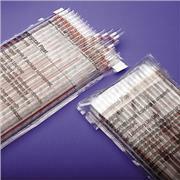 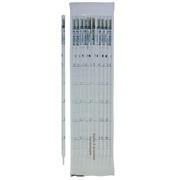 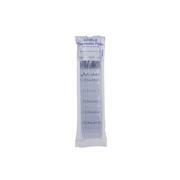 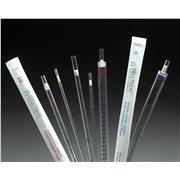 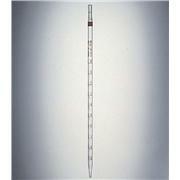 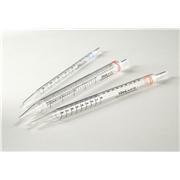 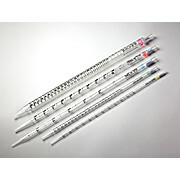 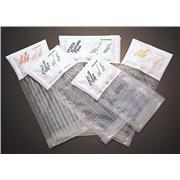 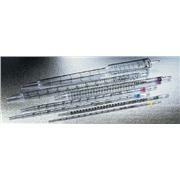 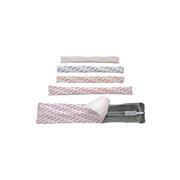 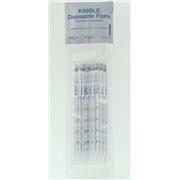 All Serological Pipets are supplied sterile (gamma irradiated) and packaged in a paper/plastic wrapper. 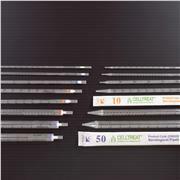 …culture experiments One-piece construction, individually wrapped Edged color-coded band for identification Negative graduations for extra volume Sterilized by Gamma radiation, non-pyrogenic, non-cytotoxic, non-heamolytic DNase/RNase free For International Customers only.